Albuquerque New Mexico was directly in the middle of the path for the full annular eclipse on May 20th. Had a great view and clear skies. This is an in camera multiple exposure using the Canon 5D Mark III. Knowing this event was coming, I planned out this shot in my head and did my best to execute it as the event unfolded. This has no post processing at all. This is simply a jpeg export from the original RAW image capture. A truly amazing sight to see!! This is the absolute best image of the eclipse that I’ve seen. Great planning and execution. Hi there, we have a solar eclipse coming up here in Kenya on Nov. 3rd 2013 and I’d like to try doing a multi-exposure also with the 5DMkIII. If you have a chance, would you mind elaborating on the camera setup, particularly which multiple-exposure modes you used and exposure settings? Thanks a lot. Pretty straight forward camera setup. Set the 5D mark III in multi exposure mode. Choose the number of frames desired. Set the blending mode to Bright. I don’t have the camera settings in front of me since I’m traveling, but I used a solar filter on the front of my 500mm f/4 lens. Without a solar filter, you don’t want to event attempt photographing the eclipse. 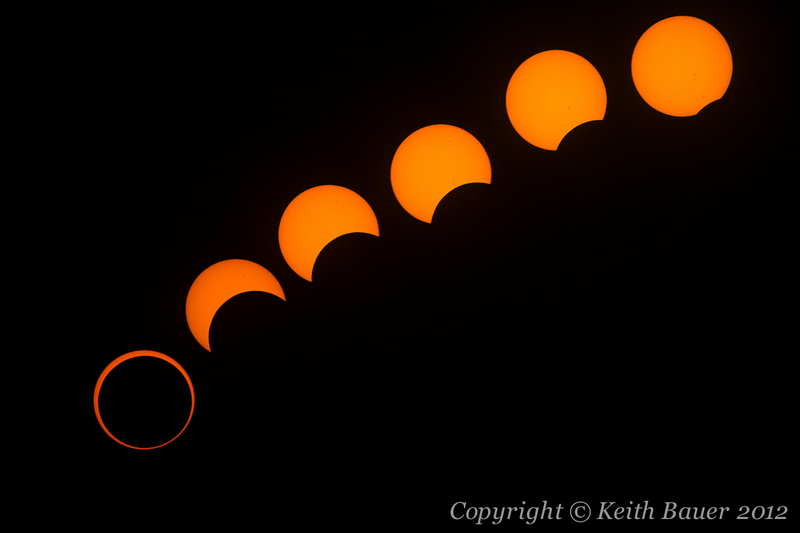 I just thought through what I wanted, calculated the number of images that would fit in the frame at the size of the sun, understood the duration of the eclipse to figure out the intervals to shoot at, and then enjoyed the show! Hope that helps.